DAVID Hayes was thrilled with how the Melbourne Cup was playing out for Ventura Storm until early in the straight. "We were out of our seats with 400m to go and back in them 100m later," Hayes said. "He just didn't stay the distance. He travelled well. He even looked a chance, but when he got to 300m out that was it. He ran 2900m." Hayes is happy to back up the Moonee Valley Cup winner in the Zipping Classic on Saturday at Sandown Hillside after his 10th in the Melbourne Cup. 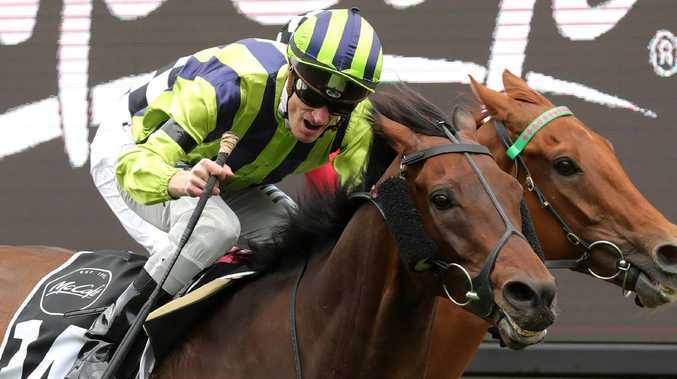 Before The Taj Mahal won the Zipping Classic, the three previous winners who had contested the Melbourne Cup had finished in a similar position to Ventura Storm. They were 2014 winner Au Revoir, who finished eighth, the 2015 winner Who Shot Thebarman, 11th, and 2016 winner Beautiful Romance, seventh. Hayes said punters only needed to look at Ventura Storm's previous start, in which he defeated the Mackinnon Stakes winner Trap For Fools in the Moonee Valley Cup, to show he had the form to win on Saturday. 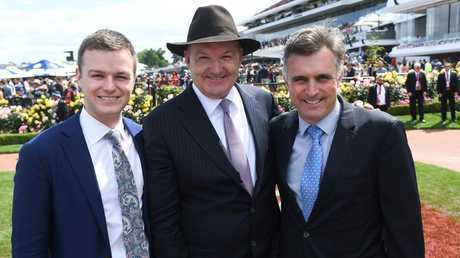 After the training operation of David and his son Ben and nephew Tom Dabernig received the award of trainer of the Flemington carnival after training one winner and several placings, Hayes is looking for a big day at Sandown. "I've had Flemington carnivals where we were in the placings and had a frustrating time, then come to Sandown and the wheel turns and we can have four or five winners," he said. "I think with the team we've got in on Saturday we could have a really good day." Hayes hasn't trained a Zipping Classic winner but has won the Sandown Guineas twice with Cayambe (2005) and Petrology (2014). Hayes has two Guineas runners on Saturday - Long Leaf and Good 'N' Fast. Hayes said Long Leaf's last-start sixth in the Coolmore Stakes at Flemington was an excellent run. "He got outsprinted but the horses which defeated him were superstars," he said. "He likes this track and 1600m should suit." Hayes said Good 'N' Fast was racing well but again had drawn poorly. Explained: why are some people attracted to children? 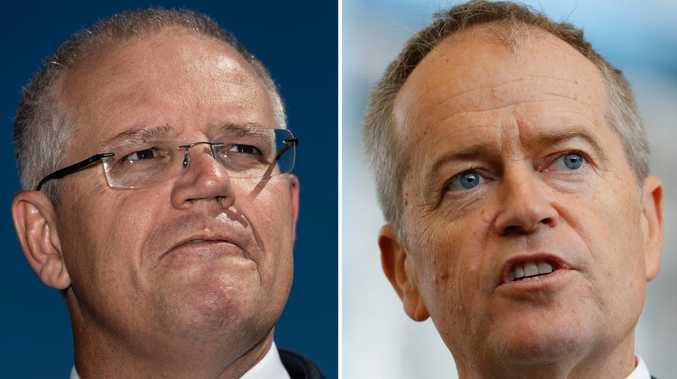 Politics Scott Morrison has confirmed the federal election will be held on May 18.